Give shelter today and your gift will be matched! TOGETHER, WE CAN HELP 30 FAMILIES TODAY! This Giving Tuesday let’s Give Shelter to 30 families around the world! This holiday season many families will be living without shelter. Whether they were displaced by conflict or their homes were destroyed by disaster, families have no place to call their own, no roof above their head, nowhere safe to sleep. Help us reach our Giving Tuesday goal of raising $15,000 to ensure 30 MORE families have safe shelter! Together, let’s give families a home for the holiday, and ensure they have a safe place to sleep, and a chance to rebuild. Today, thanks to the Rotary Club of Kenora and an anonymous donor, your gift will be matched 2x! That means your gift of $50 becomes $100, or $150 becomes $300 towards life-changing aid to help families living without shelter this holiday season. Families need your help TODAY, and together we can ensure 30 more families have the shelter they need to feel safe this holiday season. 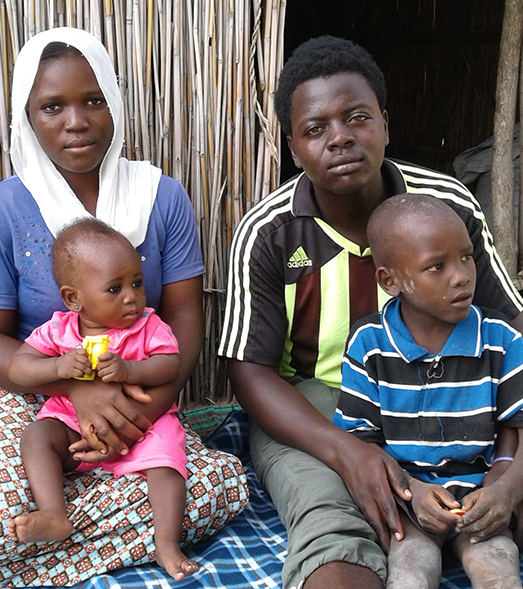 Abdou and his family lost everything when they had to flee their home due to conflict in their village. 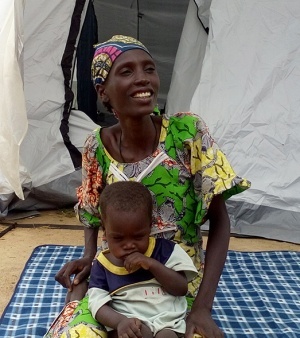 Now Abdou’s family is living near a river, an area that is full of mosquitos. Support like yours meant Abdou’s family received a mosquito net to protect him and his small children from insect-borne diseases. They also received blankets to keep them warm at night, and a water filter to ensure that they all have safe drinking water. This aid was customized to Abdou’s situation and needs. This is what your support looks like – it helps ensure families have the specific tools they need to recover and rebuild. TODAY ONLY, your support will be doubled, allowing customized aid to reach even more families in need. Please, give the gift of shelter to families this holiday season.